Woodinville, WA—March 2019… In 1989, the first Global Positioning System (GPS) satellite was placed in orbit; cold fusion was achieved at the University of Utah; the Berlin Wall came down; a powerful earthquake shook the San Francisco Bay Area during a World Series game. Equally earthshaking for the music industry, Mackie released its first product, the LM-1602 line mixer, soon followed by the Mackie CR-1604—and the audio industry was forever changed. For the first time, professional-quality 16-channel audio mixing was affordable for every musician. In that fateful year, the Seattle-area company was just beginning an amazing run that continues 30 years later. Today, Mackie offers a full line of affordable, high-quality audio equipment ranging from mixers to sound-reinforcement loudspeakers, studio monitors, recording interfaces, and more. 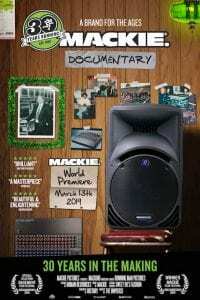 The Mackie story really began in 1969, when company co-founder Greg Mackie launched Technical Audio Products (TAPCO). Realizing that a new generation of rock bands needed an affordable, durable, high-quality mixer that could handle signals from loud instruments, Greg Mackie saw an opening in the market and decided to fill it. TAPCO’s subsequent success, including its immensely popular 6000 and 6100R mixers, confirmed his vision. By 1989, the music industry had taken another leap. 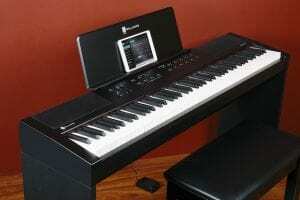 Many musicians invested in affordable polyphonic electronic keyboards, sound modules, and outboard processors and became interested in home recording. But mixers hadn’t kept up; only expensive consoles offered the features and quality needed for musicians to pursue their dreams. The Mackie CR-1604 compact analog mixer and subsequent Mackie products changed all that, employing new technology and implementing only the required features, while continuing Greg Mackie’s emphasis on delivering affordable, high-quality, “Built Like a Tank” gear. The result was a revolution in personal recording and live sound for bands. Many companies have tried to emulate Mackie’s approach, but 30 years after it shook the industry, the Seattle-area manufacturer continues to innovate and remains a leader in quality gear that doesn’t break the bank. Throughout its 30 years, Mackie has displayed a lighthearted sense of humor, while delighting customers and dealers with top-quality, innovative, market-leading products like Mackie’s DL Series digital mixers, VLZ and ProFX Series compact mixers, SRM loudspeakers and the brand-new DRM Series loudspeakers, MP Series in-ear monitors, and CR Series studio monitors. But behind the humor is a deep sense of purpose. To enjoy a documentary video about Mackie’s 30-year journey and vision for the future, visit here. For more information about Mackie and its products, visit www.mackie.com. 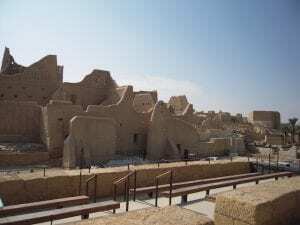 Riyadh, Saudi Arabia—March 2019… The ancient mud citadel of Atturaif perched on a high hill overlooking the Wadi Hanifah valley for about 300 years before becoming the capital of the first Saudi dynasty in the 18th century. 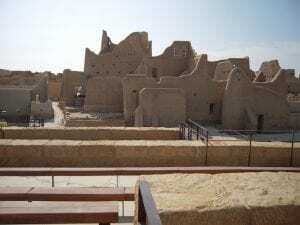 The capital moved to nearby Riyadh when the Ottomans invaded, and over the years, Atturaif’s distinctively Arabian architecture fell into the ruins of the city of Ad Diriyah. In 2010, an ambitious effort was mounted to restore Atturaif, now a UNESCO World Heritage Site, and turn it into a major tourist attraction showcasing the region’s history and culture. The result is the Atturaif Living Museum. Los Angeles, CA — March 2019… Sterling Audio, makers of high-quality studio recording equipment, announces the SL230MP medium-diaphragm condenser microphones. Offered as a matched pair, the SL230MP mics are an excellent choice for capturing ultra-realistic stereo recordings of acoustic guitar, piano, percussion, choirs, string sections, entire bands or orchestras, and more. As expected from Sterling, the sound and build quality is comparable to that of microphones many times more expensive. Seattle, WA — March 2019… Nestled between Seattle’s Atlantic and Judkins Park neighborhoods, Washington Middle School is renowned for its music programs. Over half of the student population participates in one or more of the school’s 13 ensembles, which run the gamut from choirs to string quartets to jazz bands. To ensure that the sound quality at rehearsals, public performances, and competitions is on par with the dedication of the students and teachers, band director Jared Sessink recently added four Mackie® Thump Boosted™ 12BST powered loudspeakers, a Mackie DL1608 16-channel digital mixer, and a Mackie ProFX30v2 30-channel analog mixer to the music department’s toolbox. 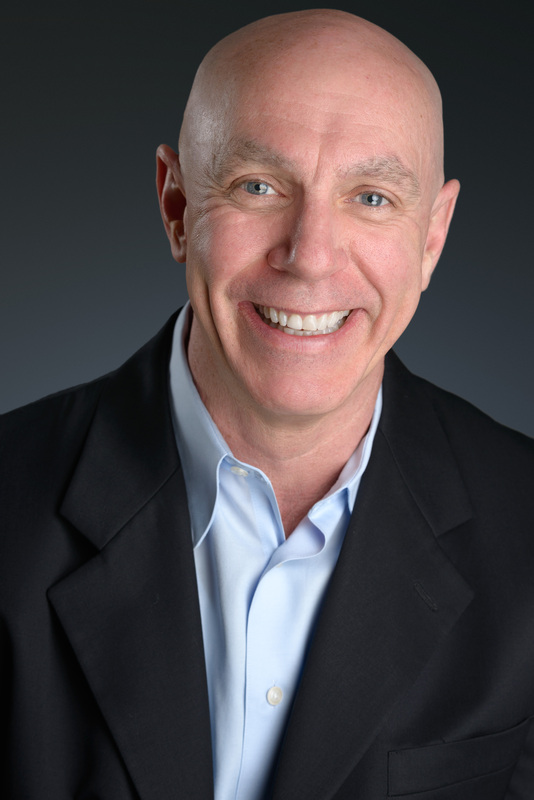 Santa Barbara, CA—March 2019… Visionary Solutions, Inc., a leader in innovative high-quality video networking solutions, is pleased to announce that Tim Murray has joined the company as National Sales Manager. A 30-year veteran of the professional audio industry, Murray most recently served as Western Region Sales Manager at Symetrix, where he consistently exceeded yearly sales goals, showing double-digit growth year-over-year for more than 10 years. Murray previously worked in sales management positions at such companies as Xantech Corporation, Otari USA, Sennheiser, and HHB. Thousand Oaks, CA — February 2019… Williams, renowned for digital pianos that deliver sound and features far above their price class, is pleased to debut the Allegro III Digital Piano. This portable instrument is ideal for the advancing student or the professional player who requires top-quality sounds and authentic keyboard feel. The 88 keys of the Allegro III are fully weighted, providing the response, resistance, and nuanced control upon which music teachers, serious students, and performing artists insist. Featuring a new generation of Allegro keyboard design, this action is coupled to ten high-resolution instrument voices taken from the Williams Custom Sound Library, including grand pianos, electric pianos, organs, strings, bass, and more. All are recorded from the finest instruments and sampled at multiple velocity layers to achieve full dynamic range and tonal realism. The sounds are lushly reproduced through the built-in four-speaker speaker system for outstanding volume, clarity, and frequency response. Wireless MIDI via Bluetooth® lets players connect the Allegro III to an iPhone® or iPad® to experience educational apps such as McCarthy Music Piano, which offers fun, interactive lessons from the world’s largest online music school (including a free live remote lesson with an expert piano teacher). In addition, the Williams Piano app unlocks hidden capabilities of the Allegro III, giving the user fine-grained control over tones and effects, as well as bonus features to improve keyboard skills. Whitinsville, MA—February 2019… Eastern Acoustic Works has launched the new KF810P installation line array, the latest model in the company’s legendary KF800 series. As with other KF-series loudspeakers, the KF810P is a three-way system with best-in-class output and true broadband pattern control. 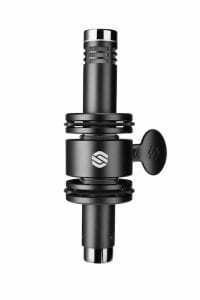 Designed specifically for installed applications, it incorporates clean aesthetics offered in black or white, invisible wiring, and concealed three-point rigging. A weather-rated option enables long-term permanent installation in demanding environments, backed by EAW’s full warranty. The KF810P integrates two high-powered, ported, 10-inch low-frequency drivers with 3-inch voice coils; four 5-inch midrange drivers with 1.7-inch voice coils; and two high-frequency drivers with 1.4-inch exits and 3-inch voice coils. Tuned, phase-aligned spacing of the low-frequency components extend pattern control. The output of these sources unites through an integrated horn that occupies nearly the entire forward face of the speaker enclosure, delivering up to 145 dB SPL with accurate pattern control down to 250 Hz to master the most challenging acoustic spaces. EAW’s Concentric Summation Array (CSA™) technology seamlessly integrates the components within the horn so that multiple subsystems sum coherently, without interruption to either the high- or mid-frequency wavefronts. The result is smooth, accurate, studio monitor-quality response from 50 Hz to 20 kHz. Nominal beamwidth is either 80° or 100° horizontal by 10° vertical. 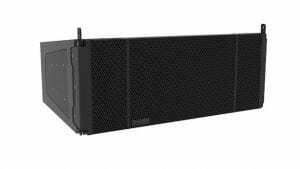 For more information on the KF810P, visit www.eaw.com/products/kf810p. Bishop’s Stortford, Hertfordshire, UK—February 2019… Bishop’s Stortford lies a quick 30-mile drive up the M11 from London. Among other things, Hertfordshire has a long history of brewing; in fact, some sources say Hertfordshire malt was used to brew the first porter. This history bestows a certain pride of place to Bacchus Bar & Club in their Bishop’s Stortford location. While Bacchus Bar’s old sound system did not date back nearly as far as the town or its brews, after 10 years of service, the system was badly in need of replacement. 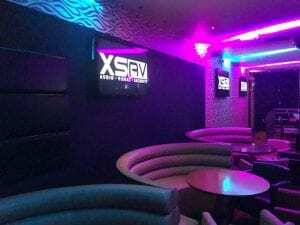 The club brought in XS Audio Visual (www.xsaudiovisual.co.uk) to design and install an extensive, all-new system, powered by just two robust and muscular amplifiers from Linea Research. The catch was that the entire project had to be completed in a hurry. 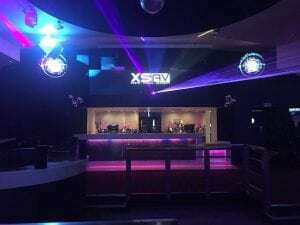 “We had only four days to completely rip out the existing sound and lighting systems and commission a whole new nightclub sound, lighting, and video install, including relocating the DJ booth and existing TV video feeds,” recalls XSAV Managing Director Lee Michael. Michael describes the Bacchus Bar as “a perfectly sized, rectangular-shaped venue that can accommodate 500 people comfortably.” On weekends, the well established hot spot is often busy enough to reach full capacity, with DJs energizing the crowd. During the week, the club’s entertainment systems are used for karaoke and sports events. The dozen loudspeakers handle 400 watts AES power each, and the two subwoofers draw up to 2,400 watts AES power. But space taken by a large amplifier rack is space not usable by patrons. XSAV had a ready solution: Linea Research’s 44C20 power amplifier, which houses four channels, each delivering up to 5,000 watts (at 2 ohms) of Class D amplification, with very low distortion. The 44C20 also offers extensive 96 kHz signal processing, including grouping and multi-layer equalization, as well as Ethernet networking, and a variety of input options (analog, AES3, and optional Dante™). All of that power and processing occupies only 2U of rack space. Since the Bacchus Bar has no front-of-house mixer, XSAV installed a Symetrix Jupiter 8 digital signal processor to handle routing and processing. With eight inputs and eight outputs, a host of downloadable apps, and easy programming, Michael praises the Jupiter 8 as a potent choice for Bacchus Bar. “The DJ setup, two Sky HD+ boxes, and a local iPod input are all routed into the Jupiter 8 and selectable via a Symetrix ARC-2e wall panel,” he details. “When I commissioned the system, only minimal adjustments were needed, which was refreshing.” XSAV also supplied a Pioneer Nexus 2 DJ setup, and provided visual firepower with12 ShowTech moving heads and moving washes, a full-color laser, LED smoke machine, four mirror-ball pin spots, a 75-inch Sony LED TV for visuals and branding, and, to top it all off, two 1-meter 3D LED hologram fan displays. Jacksonville, IL—February 2019… One of the oldest towns in the Land of Lincoln, Jacksonville was founded in 1825. From its earliest years, it emphasized education, and today it is home to two four-year colleges, a community college, the Illinois School for the Deaf, and the Illinois School for the Visually Impaired. A small brick church built in 1851 was the first home of Jacksonville’s Catholic Church of Our Saviour, followed by a new building in 1868. 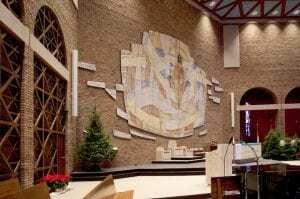 The current church, which is modeled after the Basilica of San Vitale in Ravenna, Italy, opened in 1977. The adjacent Our Saviour school is the home of the Illinois School for the Deaf, so the parish is especially sensitive to the needs of the hearing impaired. 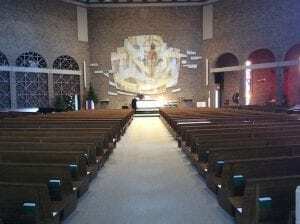 Recently the church sanctuary was remodeled, including a new sound system designed by independent acoustical engineering firm Designed Acoustics of St. Louis and based on Renkus-Heinz ICONYX Gen5 digitally steered arrays. “Since the church was built, they’ve fought with intelligibility of the spoken word,” reveals Designed Acoustics president and senior engineer Kevin Tankersley, who designed the new system. “They’ve had four or five sound systems, including the traditional cluster hung up high and, most recently, a distributed system of small speakers mounted about eight feet up, all the way around the room. Nothing worked; they still had poor speech intelligibility.” Finally, the parish was fed up. Graham and Hyde Architects, which oversaw the remodel, hired Designed Acoustics to recommend a solution. An eight-channel Allen & Heath analog mixer sits out by the choir and next to the pianist and organist, accommodating those sources, as well as guest musicians. The mixer and the altar and cantor microphones use feeds in the floor to send to a Biamp AudioFlex processor, which routes to the Renkus-Heinz main system, the ListenLoop system, and small point-source systems in the cry room and other side spaces. All connections are analog. The system is controlled with a Biamp RED-1 wall control panel located at the rack and programmed with presets for various types of events. *Credit image courtesy of Graham & Hyde Architects, Inc.
Los Angeles, CA — February 2019… Singer-songwriter Brenda Carsey’s musical and life partner Will Munroe had been experiencing a recurring dream of playing piano outdoors to honor nature’s most beautiful spaces. 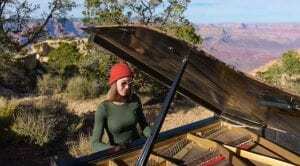 In October 2018, the pair turned that dream into reality, transporting an acoustic baby grand to Arizona’s Moran Point, which offers a stunning vista of the Grand Canyon. To ensure their video of the project would have exquisite, pristine audio, they brought TASCAM’s flagship recorder, the DR-701D, for single-shooter video production, along with four TASCAM TM-90BM boundary microphones. The DR-701D boasts a slew of features for on-location production sound, including time code sync, audio over HDMI, and the ability to control and monitor multiple units from a master unit. Decoding for mid-side microphones is onboard, and as of firmware version 2.00, the DR-701D supports the Ambisonics standard for “virtual reality” recording using a single surround microphone. It can even commence recording when the video-record button on a connected camera is pressed, saving the videographer a step and making for tighter audio-visual sync. The DR-701D can meet the needs of the most demanding film crew but what most impressed Carsey was that she didn’t have to be on such a crew to get great results right out of the box. 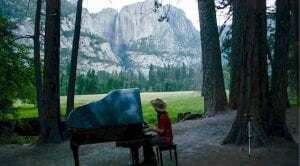 Carsey recording a previous project at Yosemite. 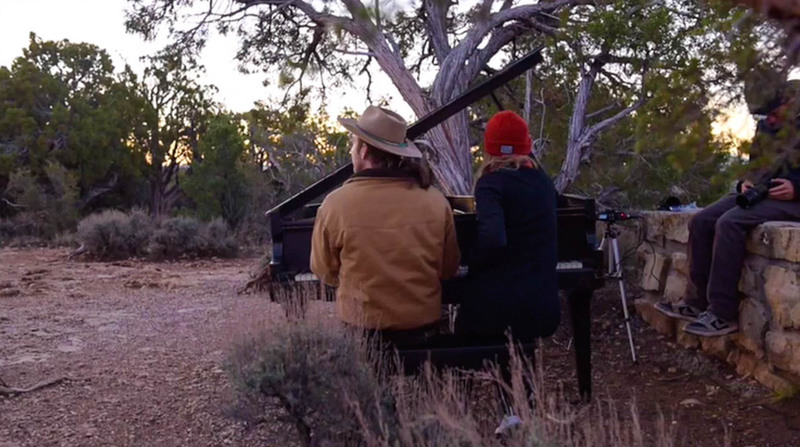 “The piano project was my first time doing field audio recording,” she points out. “The TASCAM gear was all very easy to use, and it gave me confidence that I could capture what I wanted of the performance and that the end product would sound professional. 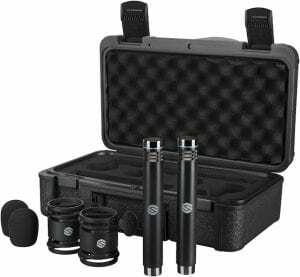 We definitely plan to use the DR-701D recorder and TM-90BM mics again on our next outdoor project, which will be in Death Valley, as well as on my work as a singer-songwriter. I would recommend this gear to anyone who’s an artist first but needs to do a lot of their own production.” To learn more about Brenda Carsey, visit www.brendacarseyart.com.